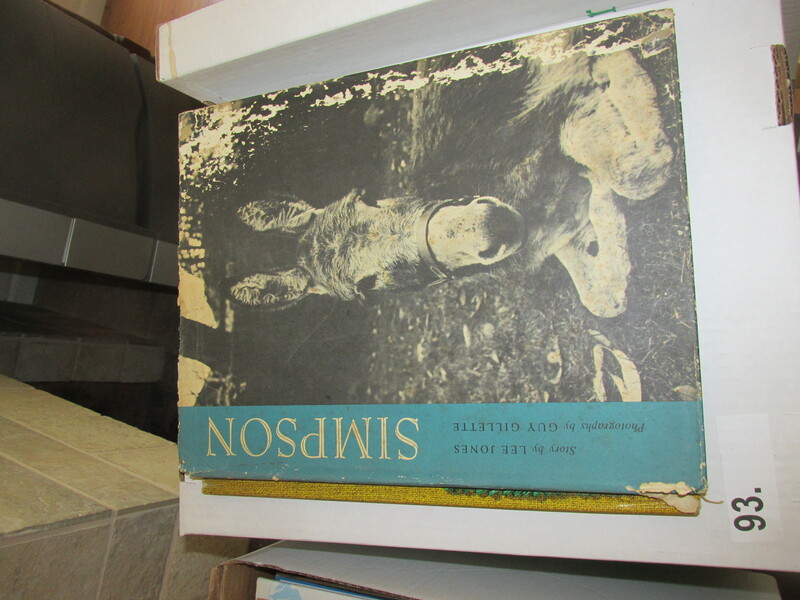 (Box 93) Simpson, story by Lee Jones, photography by Guy Gillette. 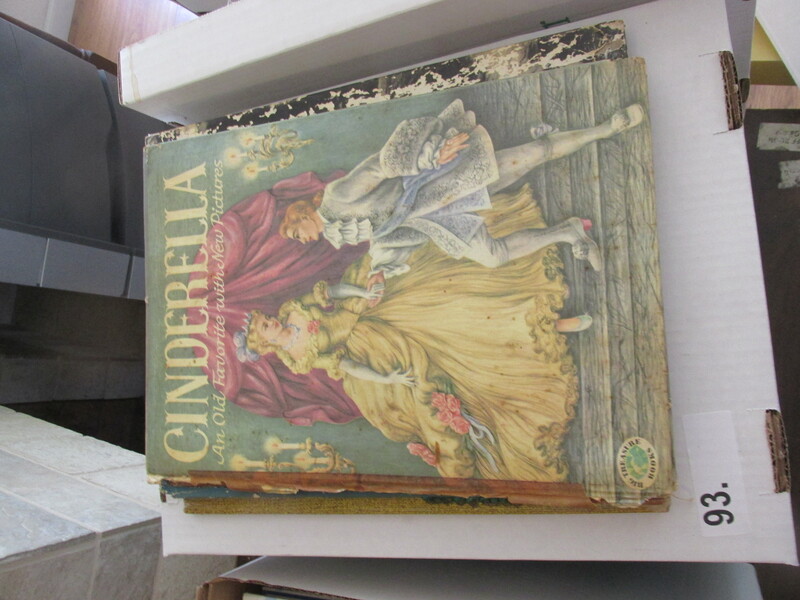 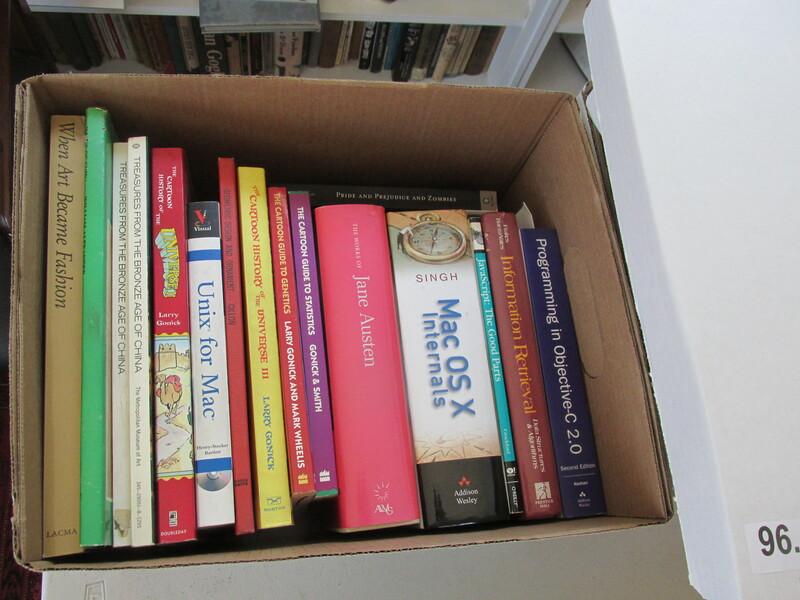 (Box 93) Cinderella: An Old Favorite with New Pictures. 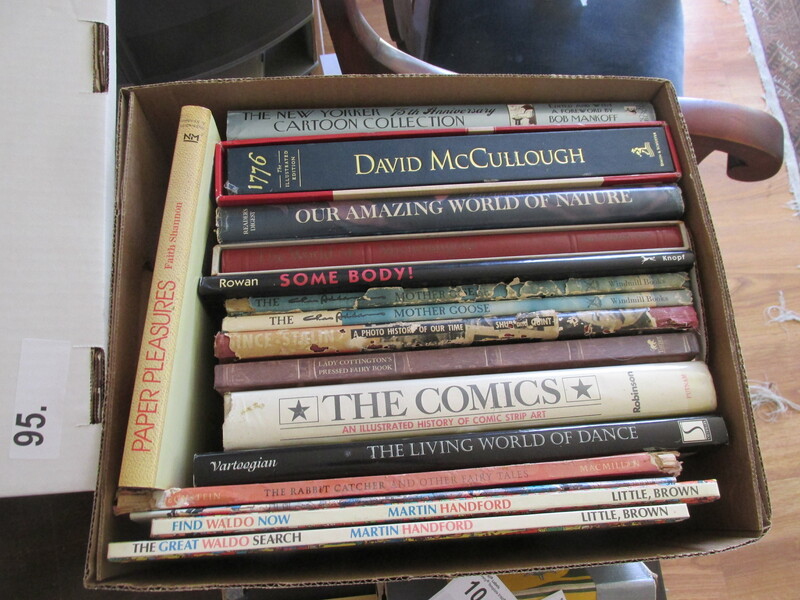 (Box 93) America's Great Comic Strips: From The Yellow Kid to Peanuts, by Richard Marschall. 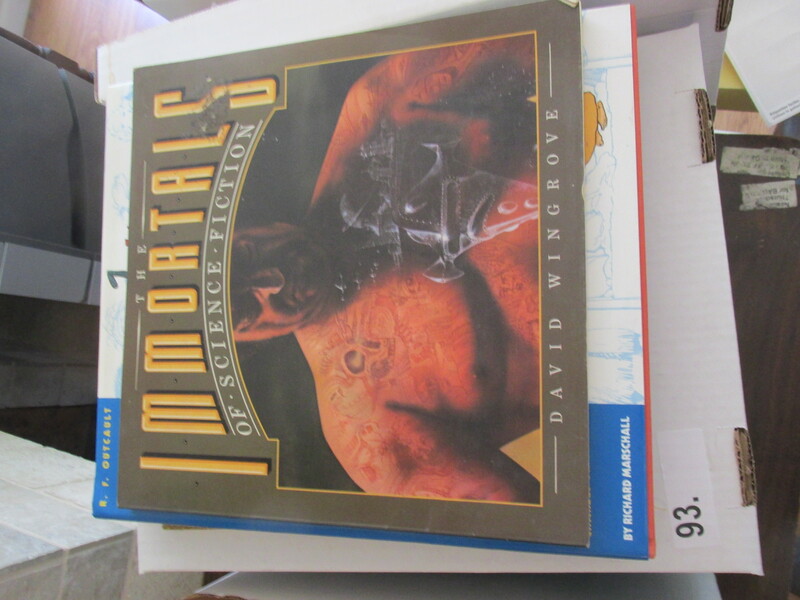 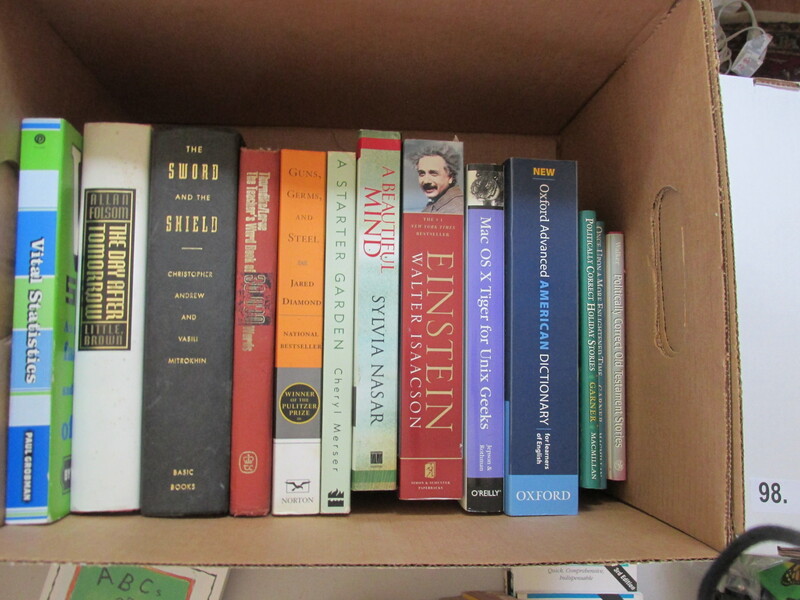 (Box 93) Immortals of Science Fiction, by David Wingrove. 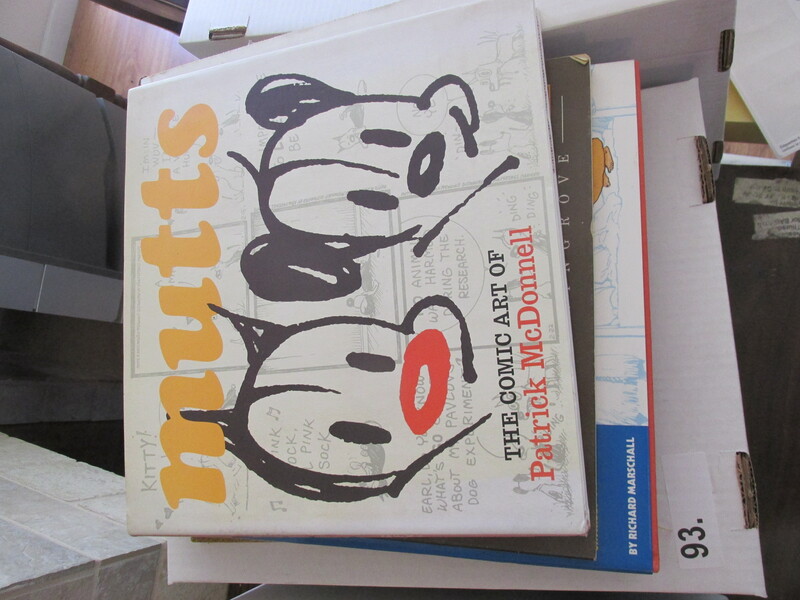 (Box 93) Mutts: The Comic Art of Patrick McDonnell. 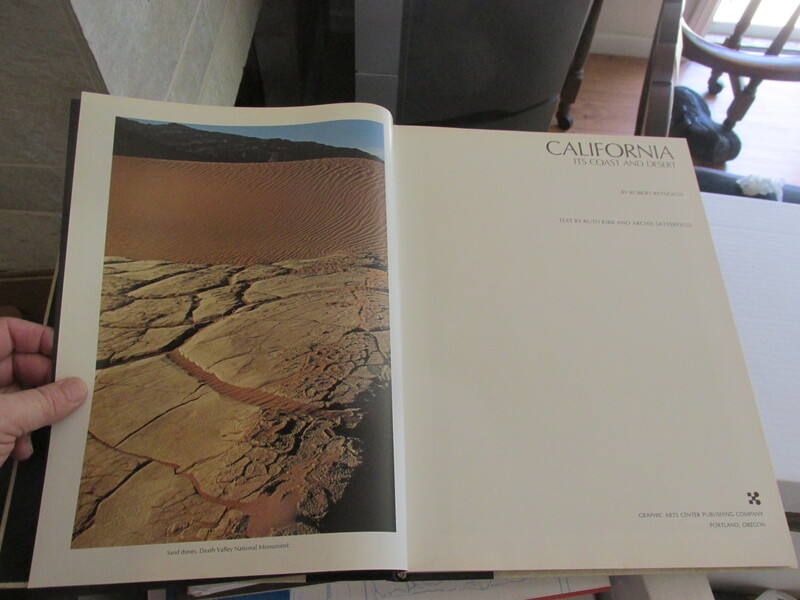 (Box 93) California: Its Coast and Desert, by Robert Reynolds, text by Ruth Kirk and Archie Satterfield. 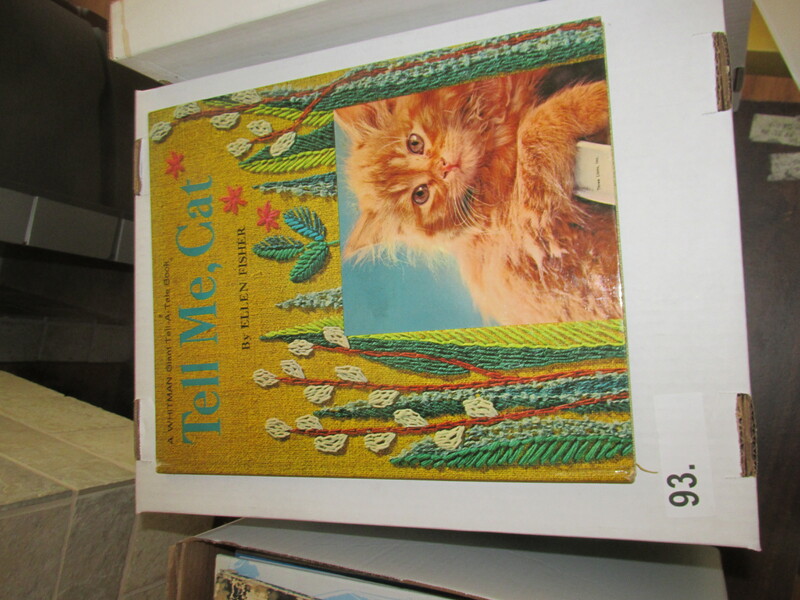 Graphics Arts Center Publishing Company, Portland, Oregon. 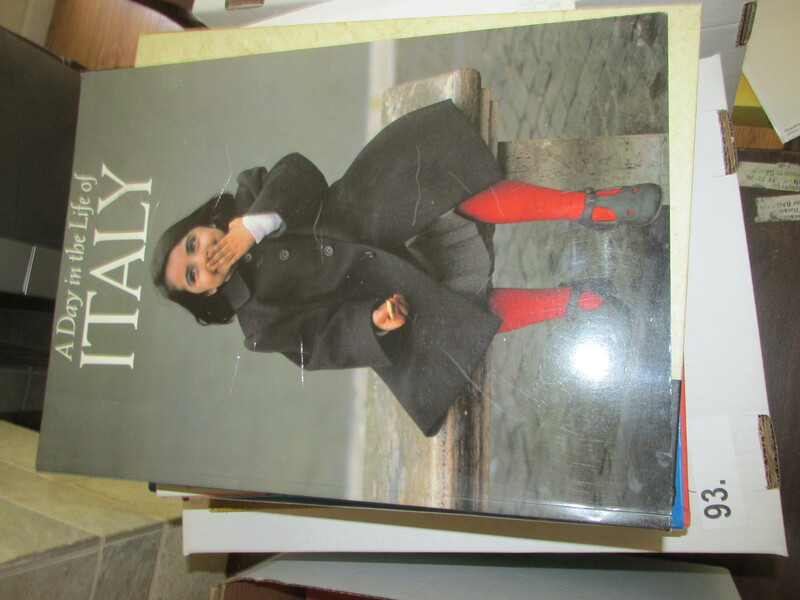 (Box 93) A Day in the Life of Italy. 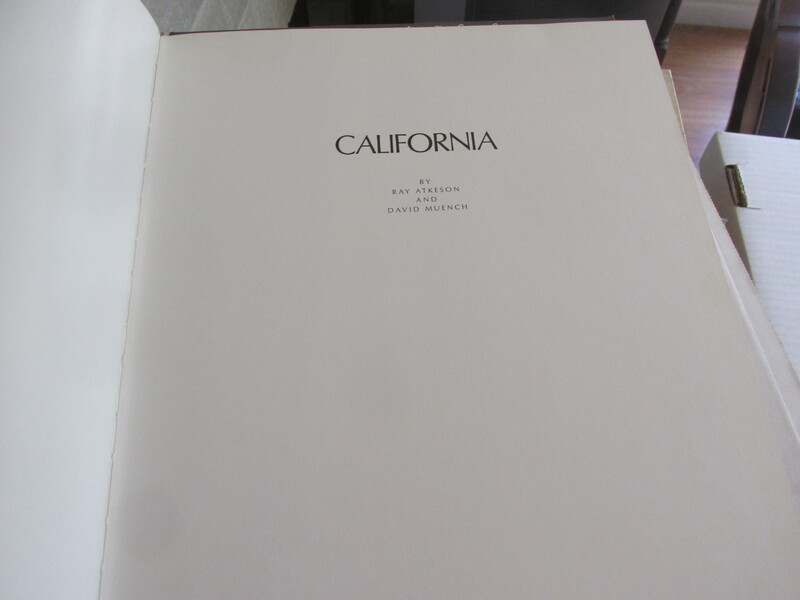 (Box 93) California, by Kat Atkeson and Dvid Muench. 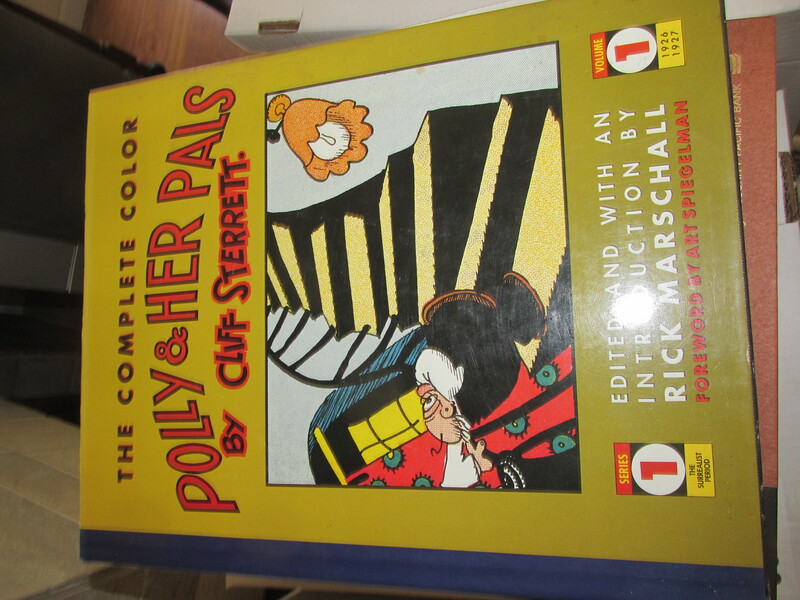 (Box 93) The complete color Polly & Her Pals by Cliff Sterrett, ed./into. 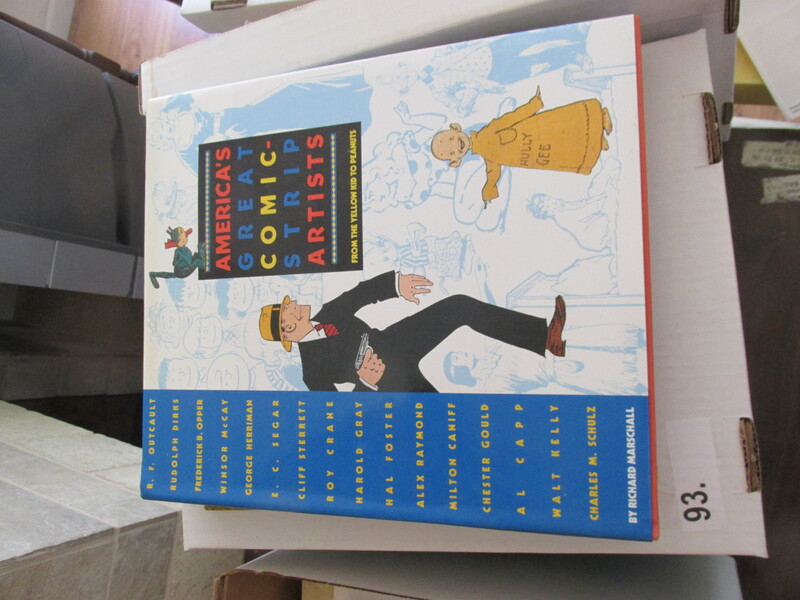 Rick Marschall, foreword by Art Spiegelman. 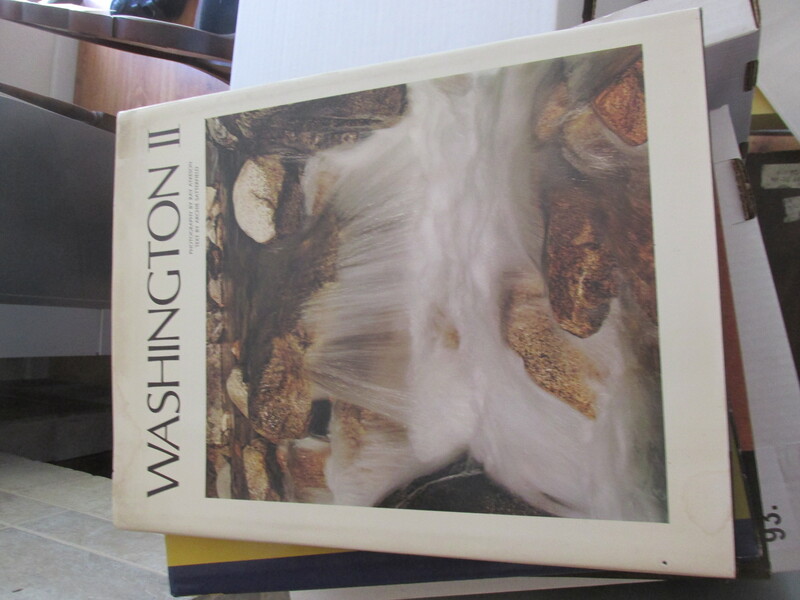 (Box 93) Washington II, photography by Ray Atkeson, text by Archie Satterfield. 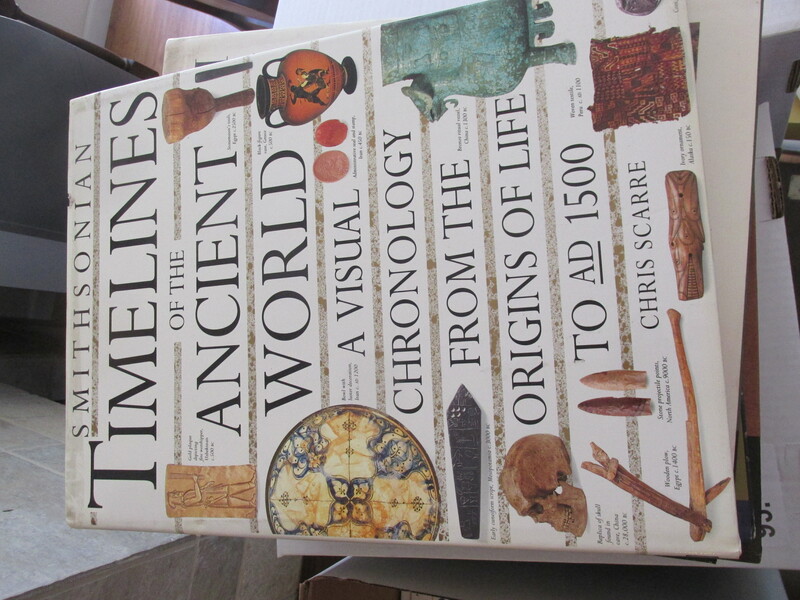 (Box 93) Smithsonian Timelines of the Ancient World: A visual chronology from the origins of life to AD 1500, by Chris Scarre. 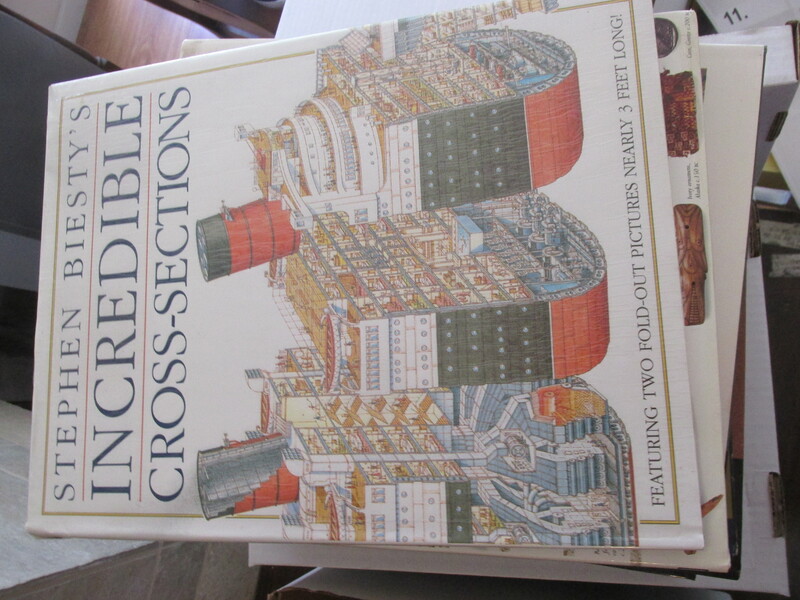 (Box 93) Stephen Biesty's Incredible Cross-Sections, featuring two fold-out pictures nearly 3 feet long! 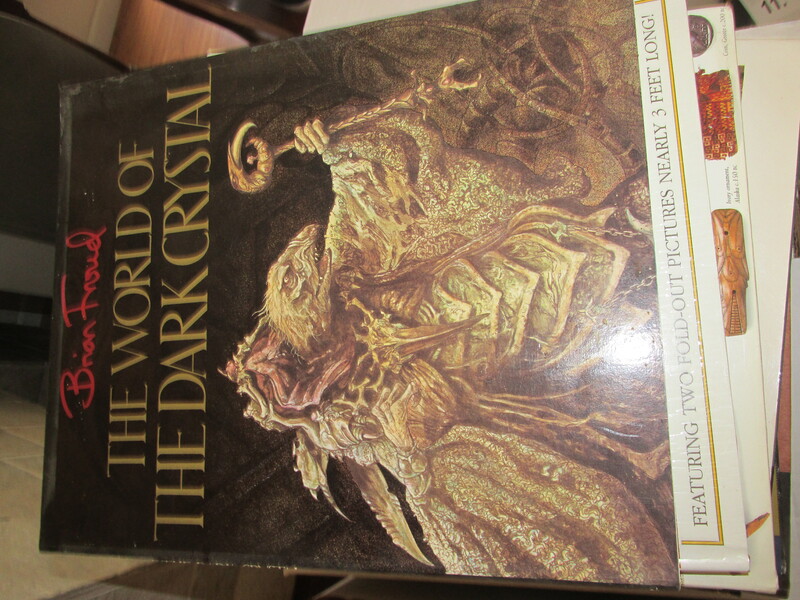 (Box 93) The World of The Dark Crystal, by Brian Froud. 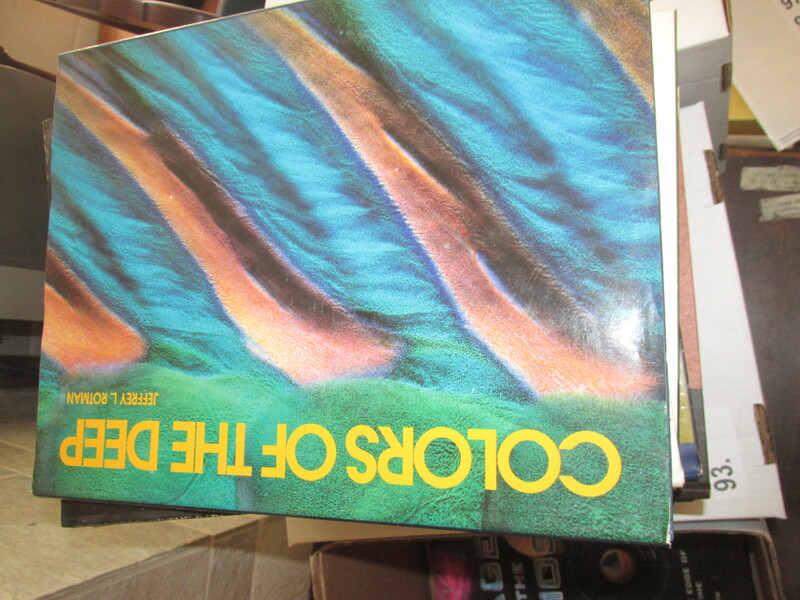 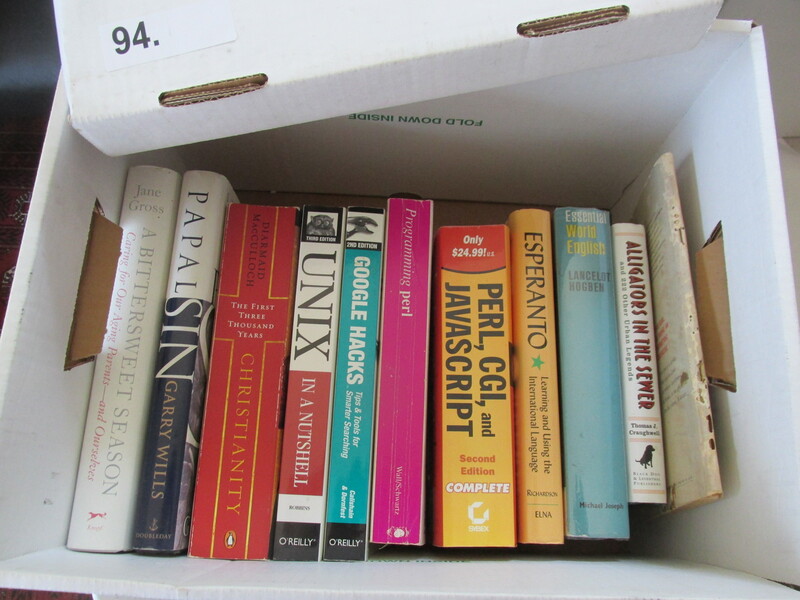 (Box 93) Colors of the Deep, by Jeffrey L. Rotman. 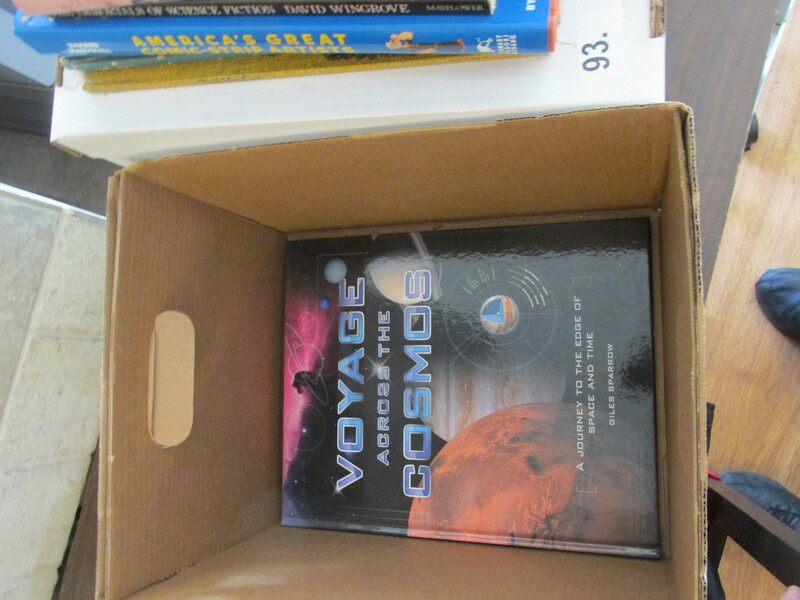 (Box 93) Voyage Across the Cosmos: A journey to the edge of space and time, by Giles Sparrow. 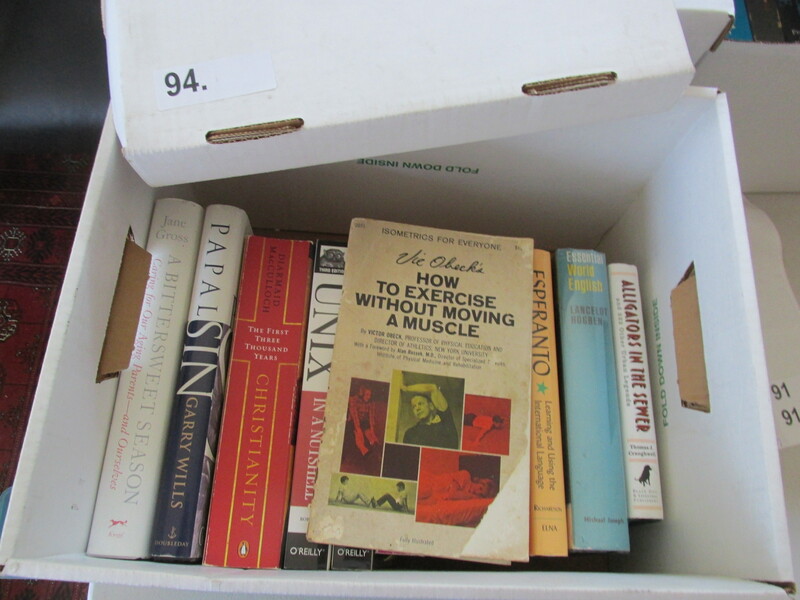 (Box 94) Vic Obeck's How to exercise without moving a muscle; isometrics for veryone, by Victor Obeck. 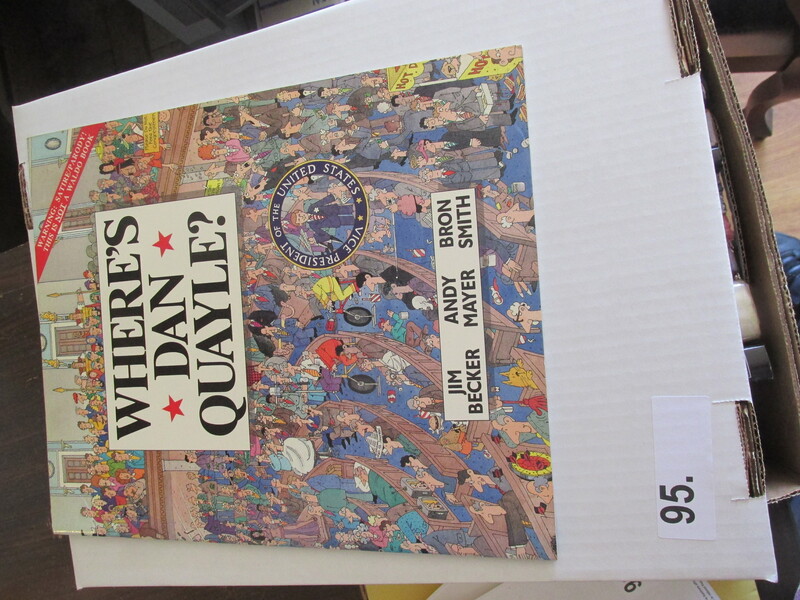 (Box 95) Where's Dan Quayle? 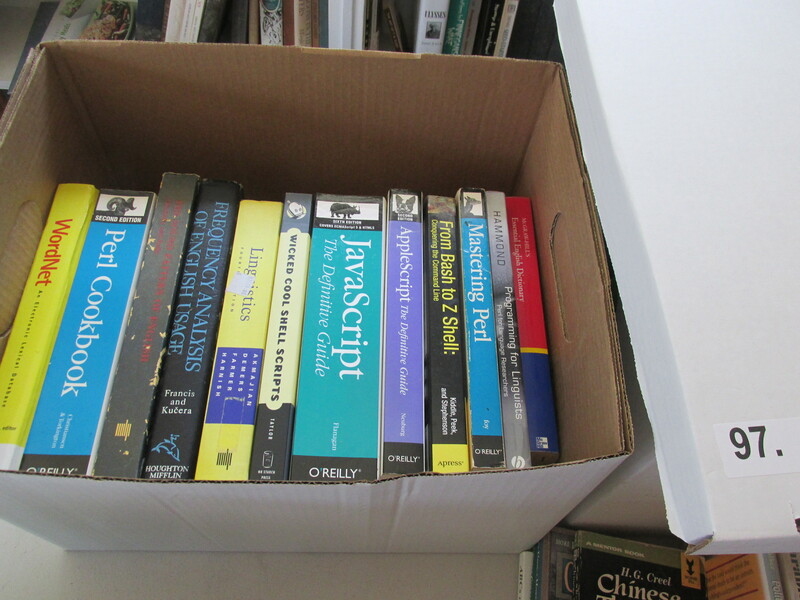 by Jim Becker, Andy Mayer, Bron Smith. 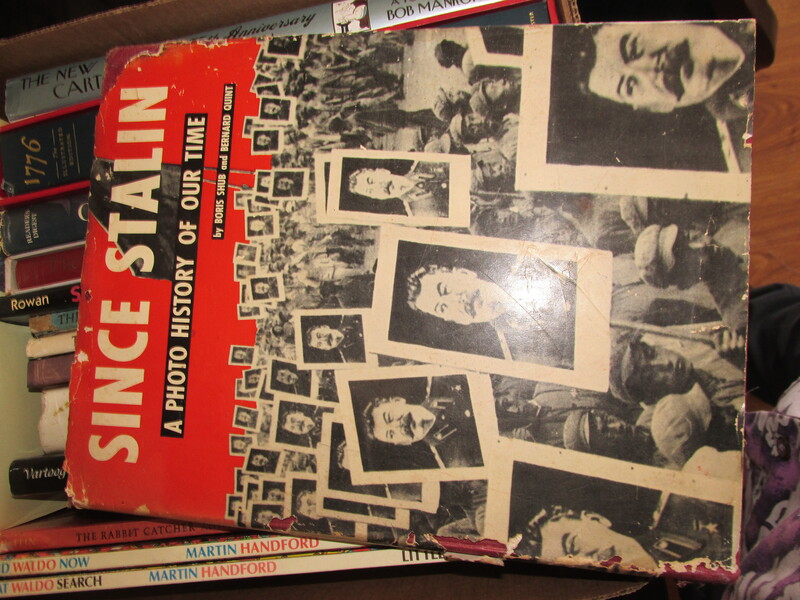 (Box 95) Since Stalin: A photo history of our time, by Boris Shub and Bernard Quint. 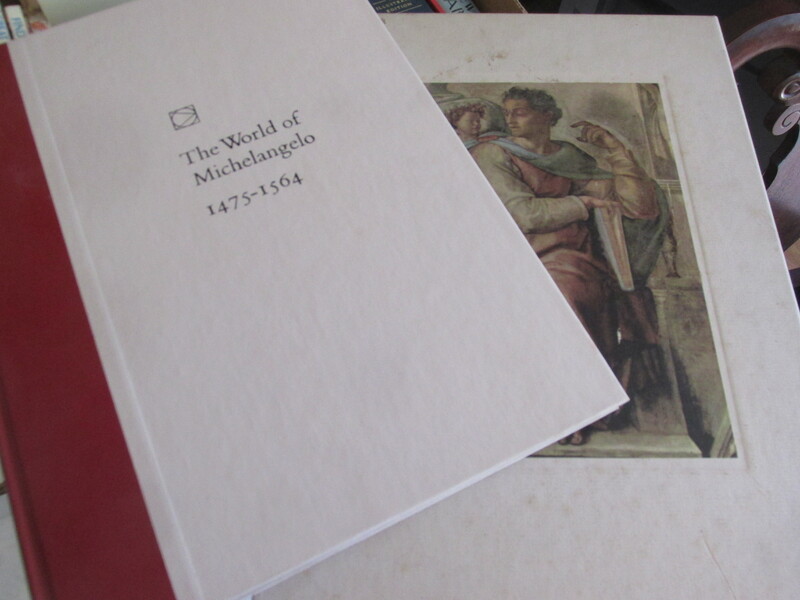 (Box 95) The World of Michelango 1475-1564. 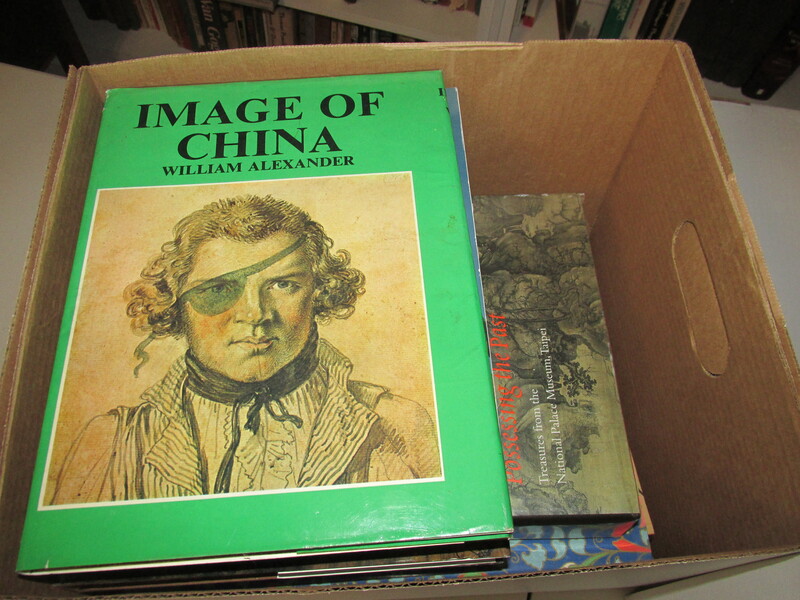 (Box 96) Image of China, by William Alexander.